I had been looking at a replacement for Outlook tasks for the longest time. Since Windows Phone 7 came out, Microsoft’s mobile offerings for Outlook tasks have been… sub-optimal. 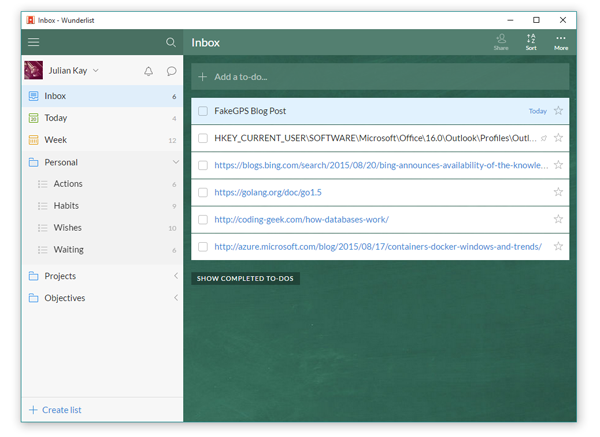 I had heard of Wunderlist through sites like Lifehacker and The Verge, and in 2014 6Wunderkinder released a new real-time sync engine as well as new beta versions for Windows Phone and Windows 8. I thought it was about time I switched from Outlook, so I gave it a shot. A year later and I’m still using it every day. Wunderlist is intuitive and easy to use. The free version does more than other apps, and it’s totally cross platform with first-class apps for Apple’s platforms (including Watch), Android, Windows and the web. It features recurring to-dos, subtasks, reminders, due dates, multiple lists and folders to organise them. Smart views let me order the to-dos by today or this week. This is where I spend most of my time when actually doing things. I like working through to-dos in due-date order, across all of the lists. The latest new feature was a Wunderlist API. Integration with Slack and Sunrise has been useful, but I’m still waiting on integration with Outlook (coming soon) and IFTTT. Now Wunderlist is part of my Action Management System and vital to how I get stuff done. Here’s how I have it set up. The Inbox is where I collect any of my to-dos as I record them. I try to keep my inbox fairly minimal, so I regularly review it. I often put links or other small reminders to myself in here and check them off without ever organising them into folders. The way I use inbox is in a similar way to my email: it’s a great collection point, but it should be regularly emptied – either by doing the to-do, or organising it into one of my folders. Anything that takes longer than a couple of minutes goes from the Inbox and into here. Pretty much anything goes, as long as doesn’t fit into any of my other lists. I regularly review this list to add due dates or subtasks. Daily, weekly, and monthly habits are stored here. All of these to-dos are recurring, so as soon as I check them off they return for the next date. For example, every week I review my finances and every month I review my projects list. These will appear on my weekly smart list as they need to be addressed. There are often things I am thinking about doing or getting which are either just ideas or not feasible right now. This is where my wish list comes in. Putting items in here gets them off my mind into a place where I can review regularly. This list keeps track of any items I’m waiting for including Kickstarter projects, deliveries, book and music release dates and other things like that. I also use list to keep track of things that I am waiting on from people too, including items loaned to friends. All of the above to-do lists are actually inside a folder marked ‘Personal’. As well as this folder, I also have a folder called ‘Projects’ which contains number of to-do lists for projects I am working on – and these come and go depending on what’s happening in my life. In fact, some of these lists may even be shared with other people. Currently I also have an ‘Objectives’ folder which is keeping track of a some bigger picture things I want to achieve, but this is not permanent. I like to keep things flexible inside Wunderlist, and creating ad hoc lists and folders makes it easy for me to do so. I always review my to-do lists once a week a week anyway. I’ve mentioned before that I like to offload some of my development and productivity tasks to Virtual Machines running on Microsoft Azure. On these machines I like to run Visual Studio, Office and any other apps I need so I can be productive anywhere. 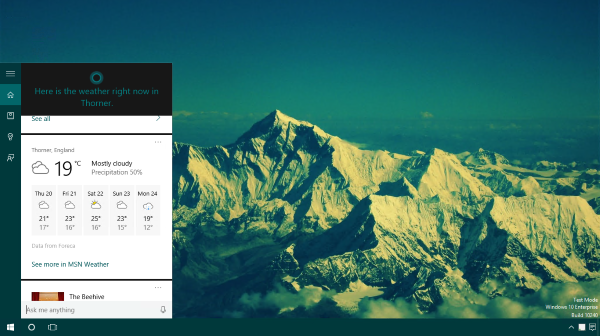 One of the apps that helps me be productive is Cortana, so I was pleased to get her up and running on my Windows 10 VM. Cortana can helpfully give you reminders and recommendations based on location, but can you guess what the problem is when using Cortana on a VM in Azure? 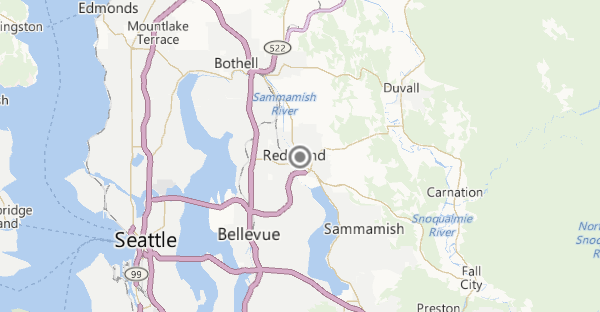 The location services think I am currently located in Redmond, Washington. Oh dear. The cross devices functionality of Cortana gets very confused because of this. When I’m using my phone she thinks I’m in Leeds, but if I switch to using the VM she thinks I have suddenly appeared in the United States. I had a think about how best to approach this issue, and currently I’m trying out a solution which seems to work well: using a homemade Fake GPS driver. I went through the code in the Windows DDK and found an example for creating a GPS driver. Rather than getting the data from a real hardware devices, I hard coded the latitude and longitude. Once I had it set up in exactly the way I wanted, it was just a matter of compiling the C++ for Windows 10 and getting it installed. 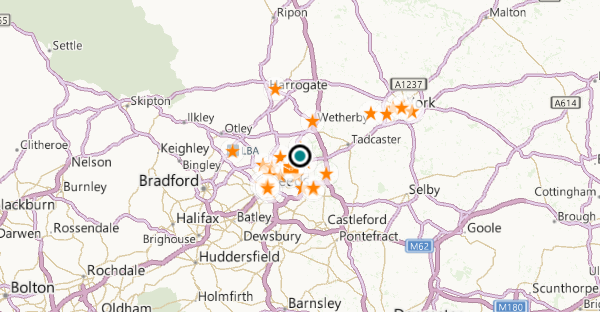 Now this Fake GPS driver simply returns the geolocation coordinates which I want, and Cortana thinks that I’m in Leeds. Sorted! This isn’t a perfect solution. For example you have to switch your OS to run in Test Mode, and obviously the location doesn’t automatically change depending on where you are. However my initial use shows me it’s way more useful than just letting the OS guess the location from the IP address. If people are interested in trying out this solution for themselves, I’ll share the code on GitHub. It shouldn’t be too tricky to add an interface to set the location as required.